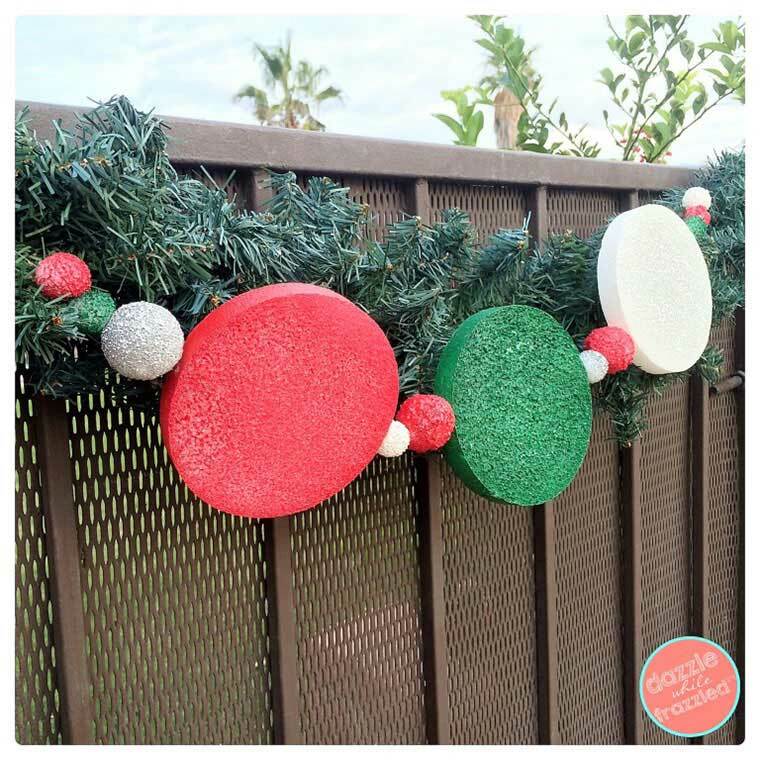 Outdoor Christmas Projects are a great way to show off your love of Christmas. 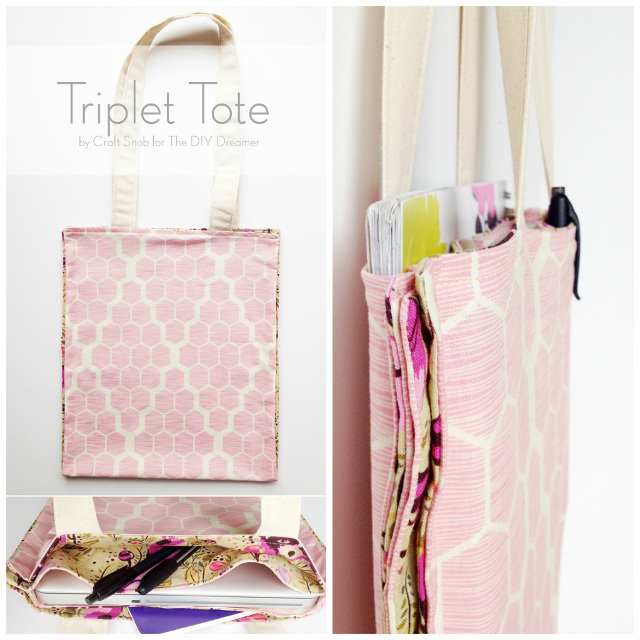 They are so much fun to make especially since a lot of these projects can be made with your family. 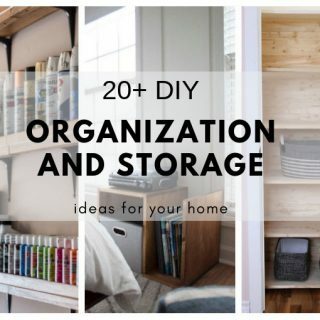 Most of these projects can be reused year after year and they will become your family’s Christmas treasures. 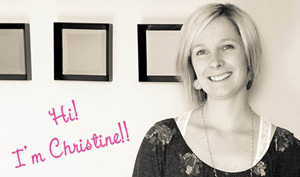 This project is so cool! I’m certain it’s the talk of the neighborhood! 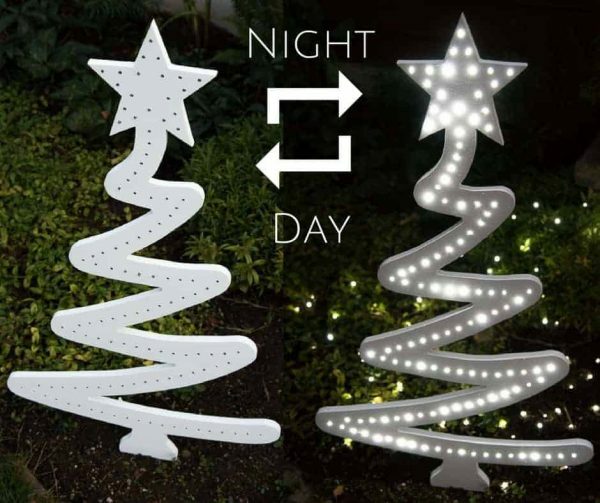 Not only is it stunning, it’s also a great prop for Christmas photos! What a beautiful Christmas sign! It looks absolutely great on a porch. 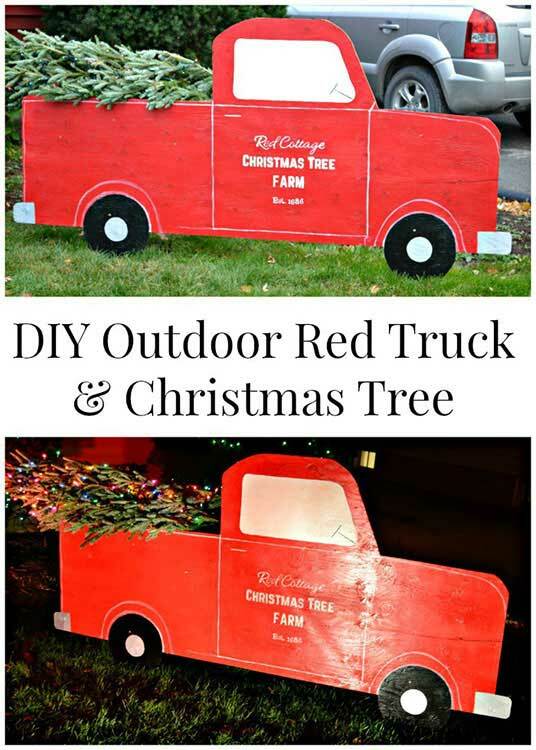 It would also look beautiful on a barn or garage. P.S. I just adore the little tree! I’m so going to have to make one of these Santa Stop Here Sign for my place! It’s so fun! 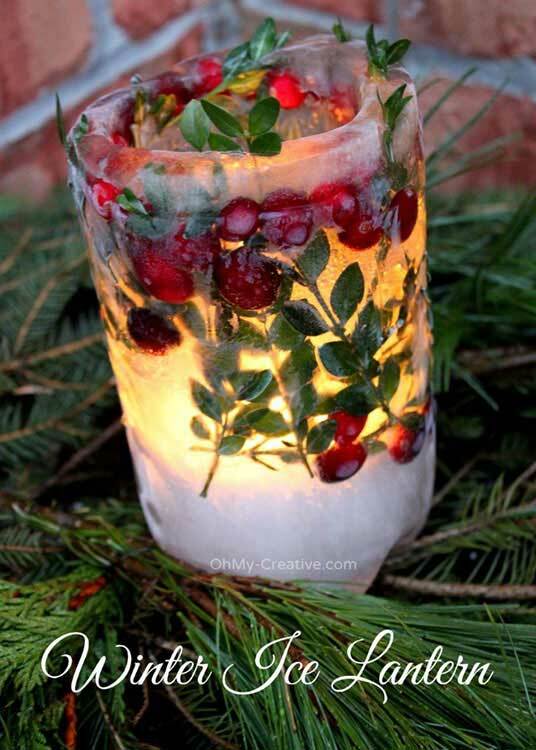 These ice lanterns are so beautiful! Wouldn’t it look great to have a bunch of these on each side of a driveway? 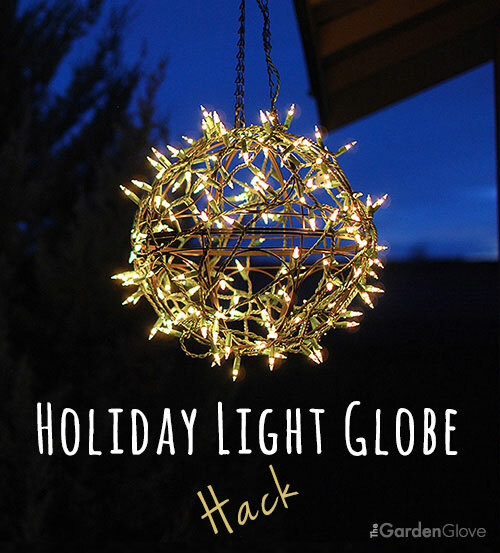 How I love this lighting hack! 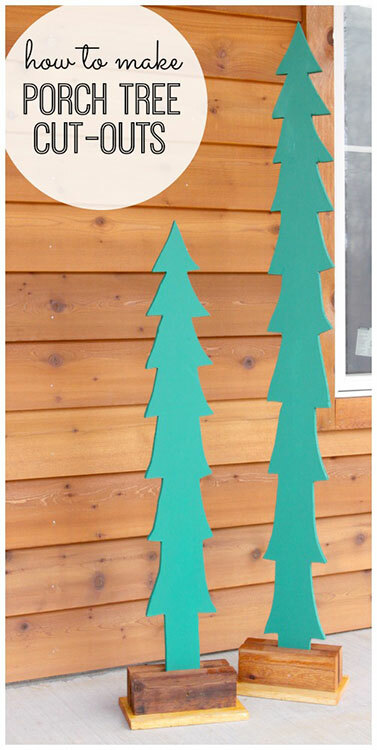 They are so whimsical and perfect for decorating a porch. 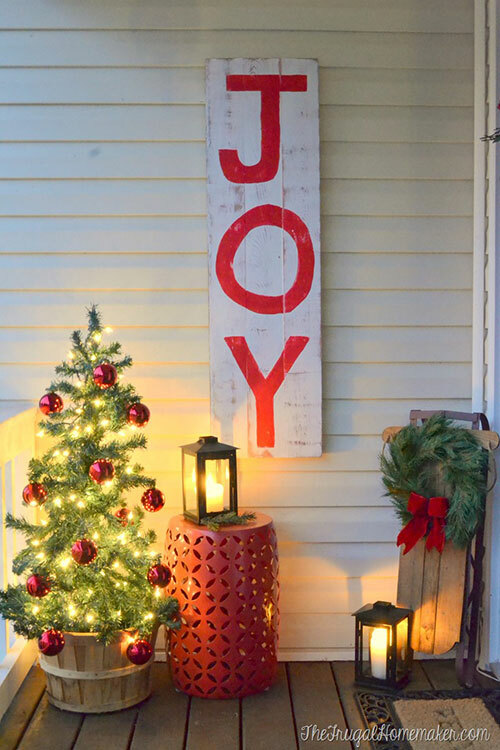 This beautiful Merry Christmas Sign looks so beautiful on a door. 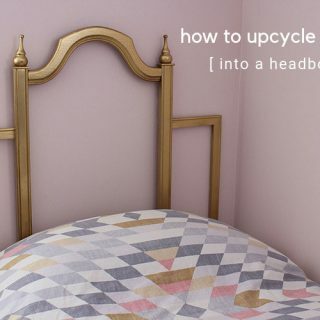 A great alternative to a wreath. These lighted trees are awesome! Imagine having a bunch of these all over your property. WOW! 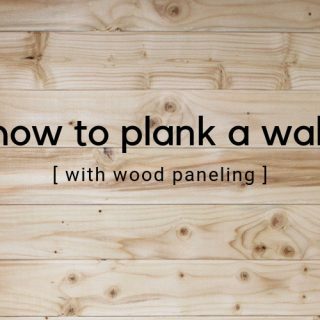 Who doesn’t love a fun pallet project?! 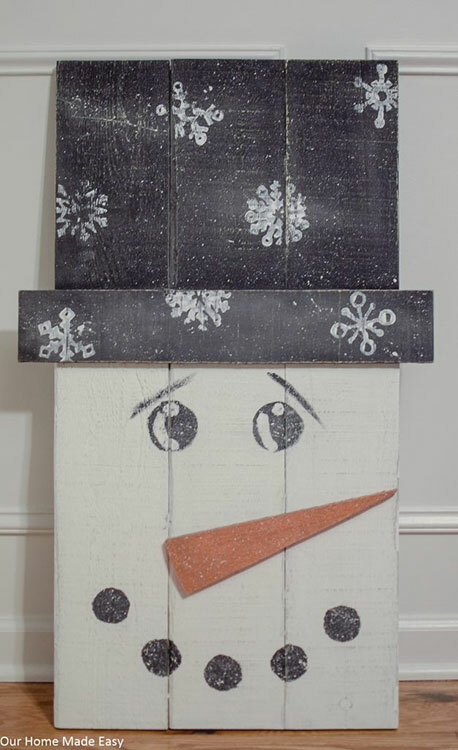 This Christmas Pallet Snowman is so cute! 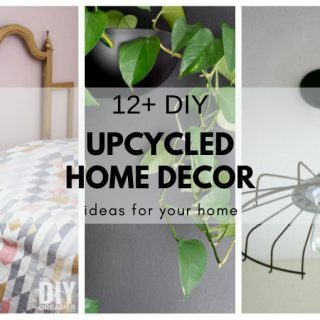 Want to make a different type of wreath? 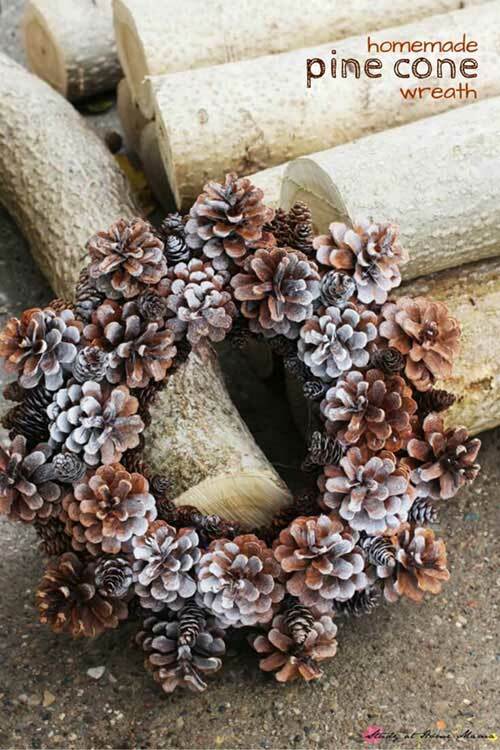 This homemade pine cone wreath is unique and inexpensive. I’m certain you can easily find pine cones around your home to make a wreath. Such a fun garland! I bet it would love wonderful hanging over the edge of a rain gutter, it would give a home a gingerbread house feel. 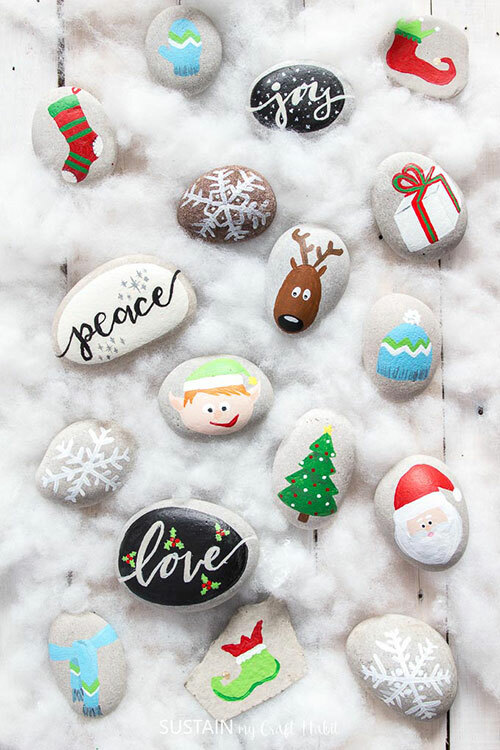 Just looking at these painted rocks because me happy. Aren’t they fun? 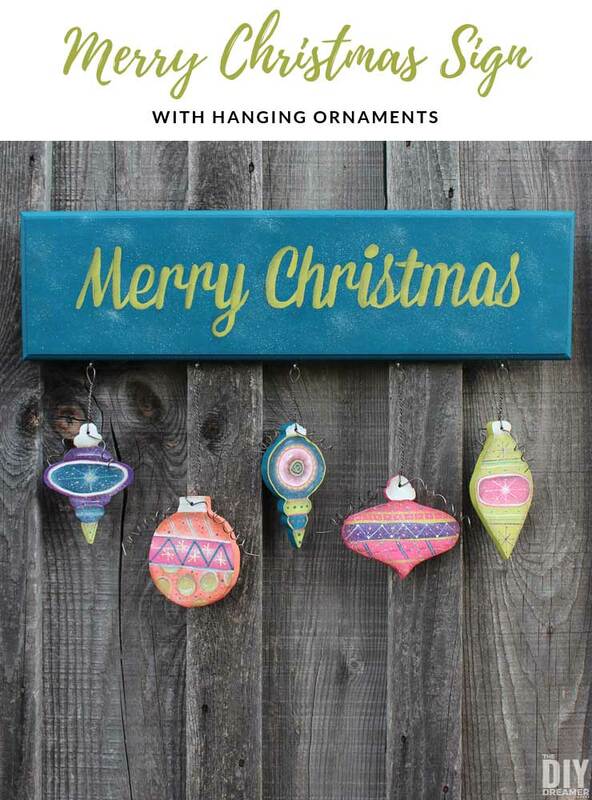 We have made many DIY Christmas Projects as a family. I must say that they are my favorite type of project because of the quality time we spend together making them. 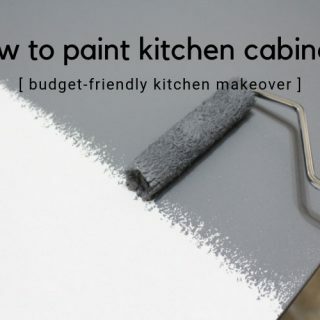 We laugh, we think, we calculate, we DIY, and simply have fun. 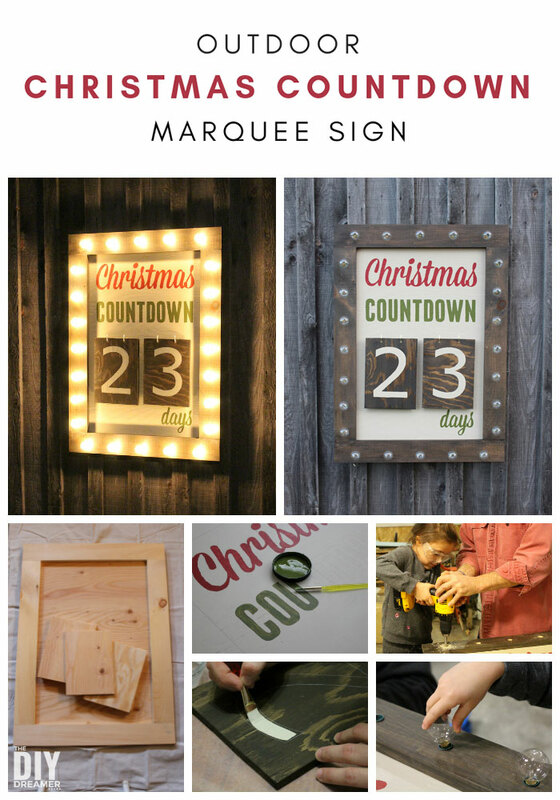 Our Outdoor Christmas Countdown Marquee Sign is still one of my favorite Outdoor Christmas Projects we have made. It was a big family project and one that we still enjoy very much. 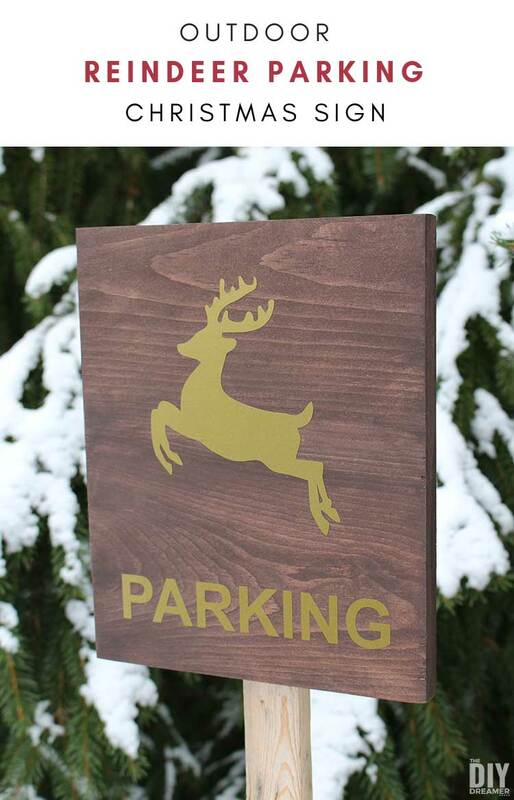 Our Reindeer Parking Sign was probably one of the quickest projects we have made. Even though it’s simple, my daughters love it so much. 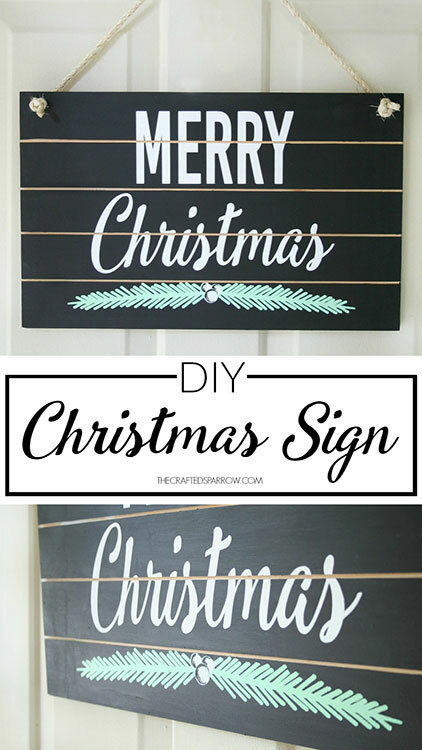 Oh I love this Merry Christmas Sign! I’m really lucky that my Mom knows how to paint. hehe The sign and ornaments wouldn’t have turned out so beautiful without her. 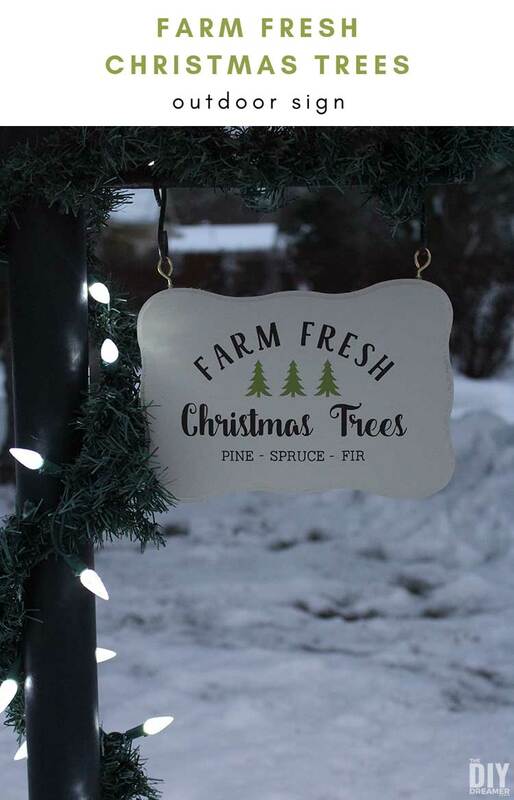 I made this Farm Fresh Christmas Trees Sign with my daughter. We had so much fun making it. Does your family work on Christmas projects together? It’s one our favorite Christmas traditions. There’s a special feeling that comes from working on a Christmas project as a family. 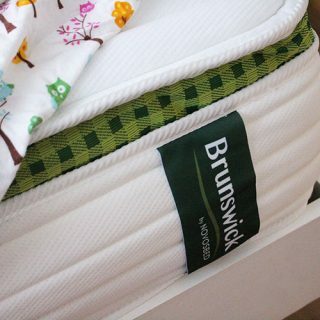 The quality time we spend together DIY is magical and something we treasure. 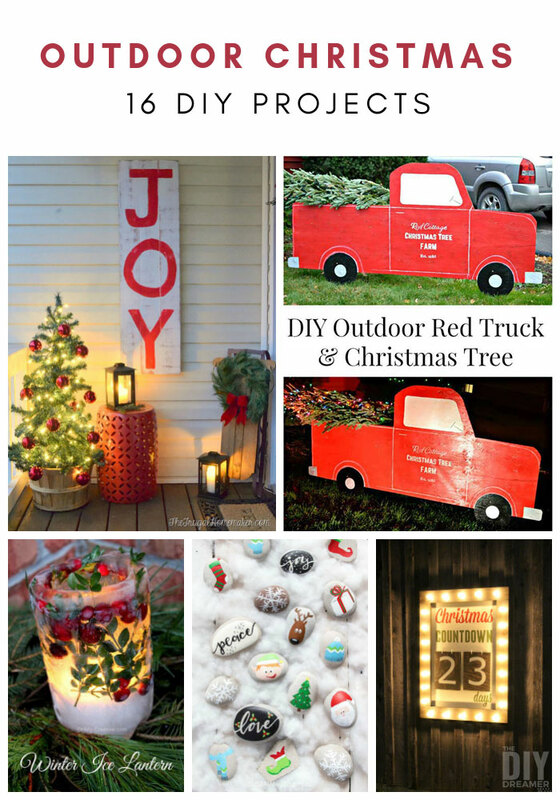 I hope these DIY Outdoor Christmas Projects have inspired you to DIY something.